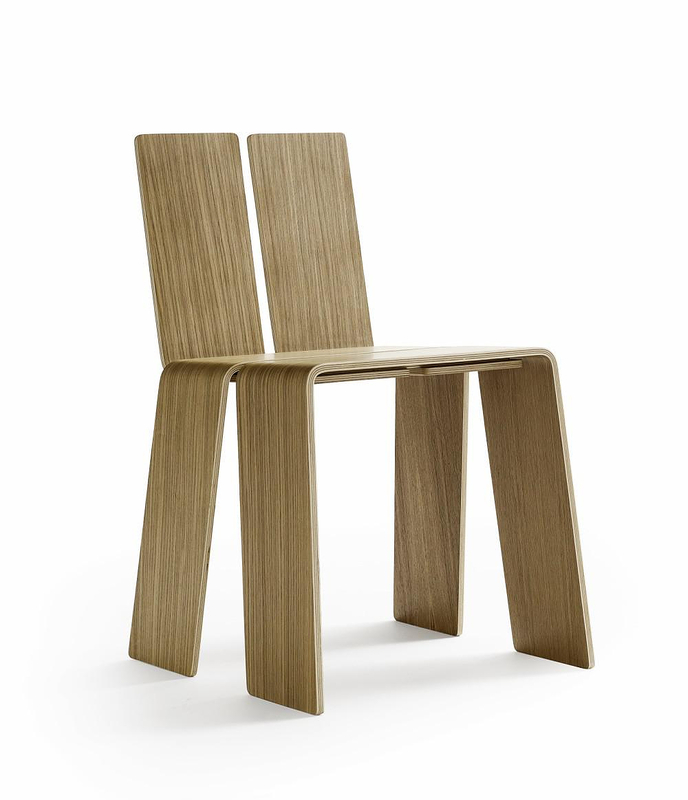 HomeBlogHome DecorHay Shanghay Chair by KiBiSi. 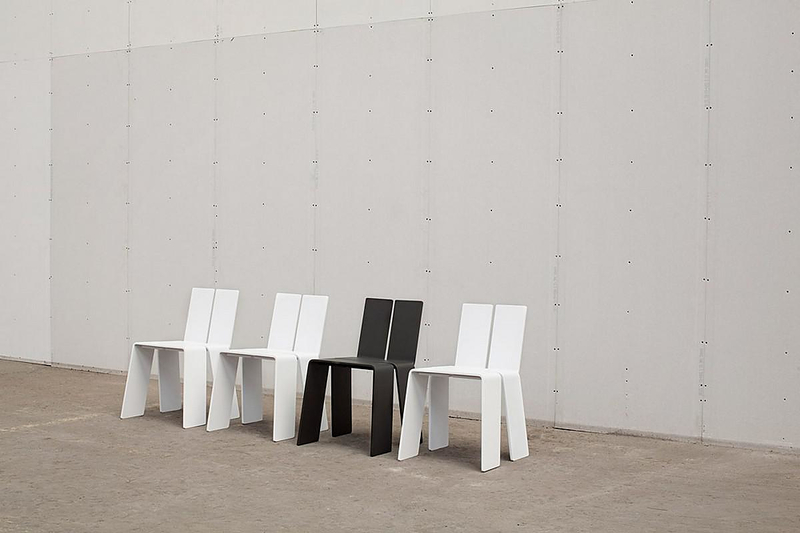 The Shanghay chair is an iconic, minimal chair originally designed by the KiBiSi team for the Danish Pavilion at the Shanghai World Expo 2010. 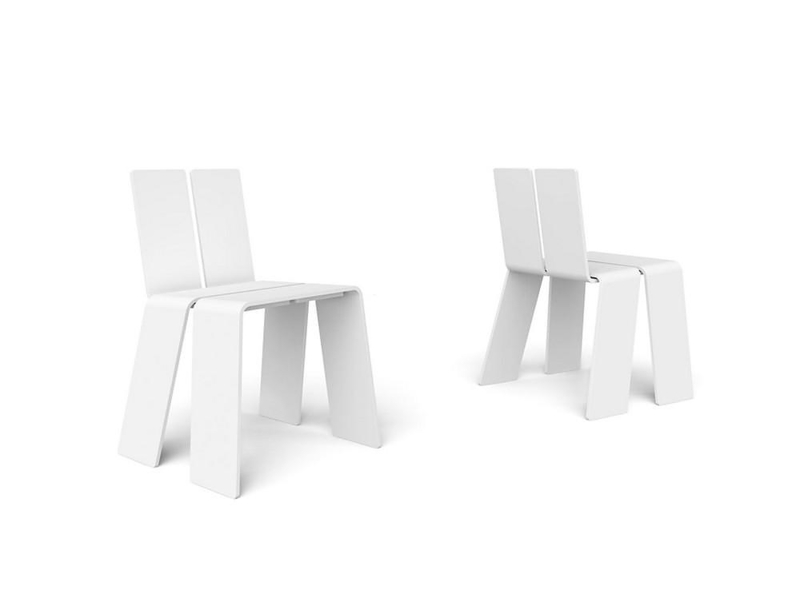 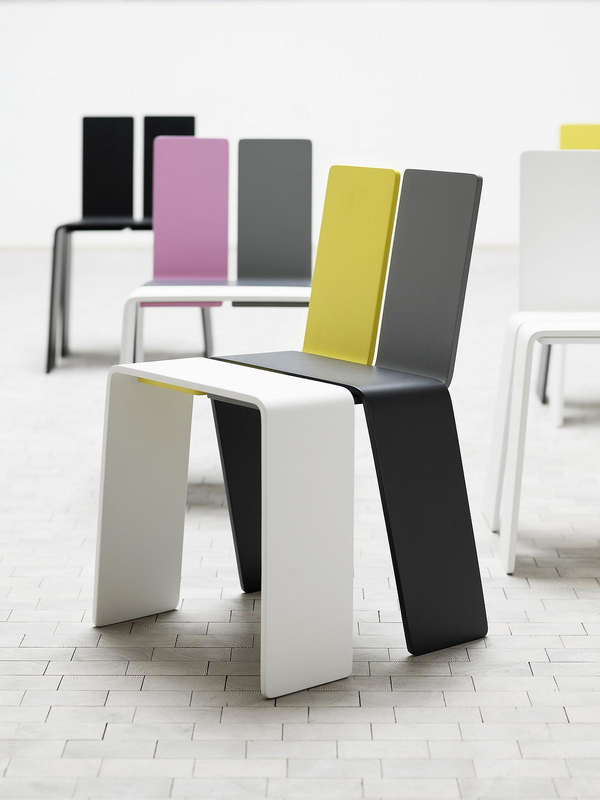 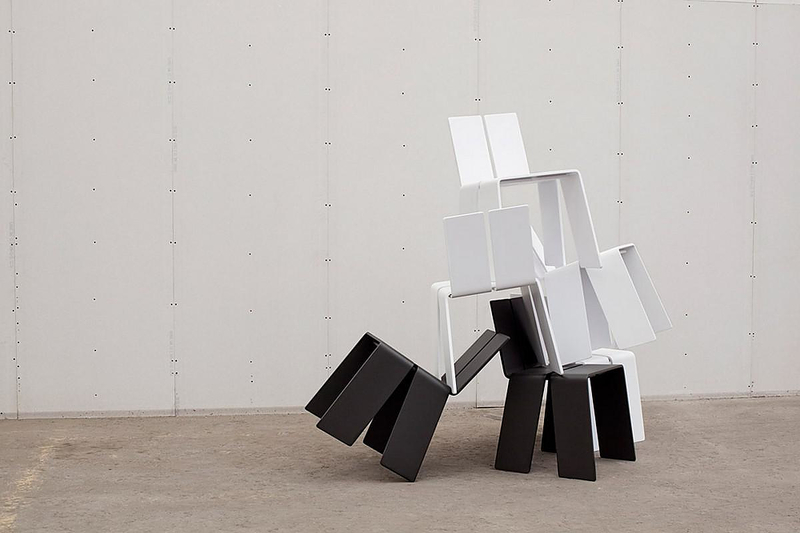 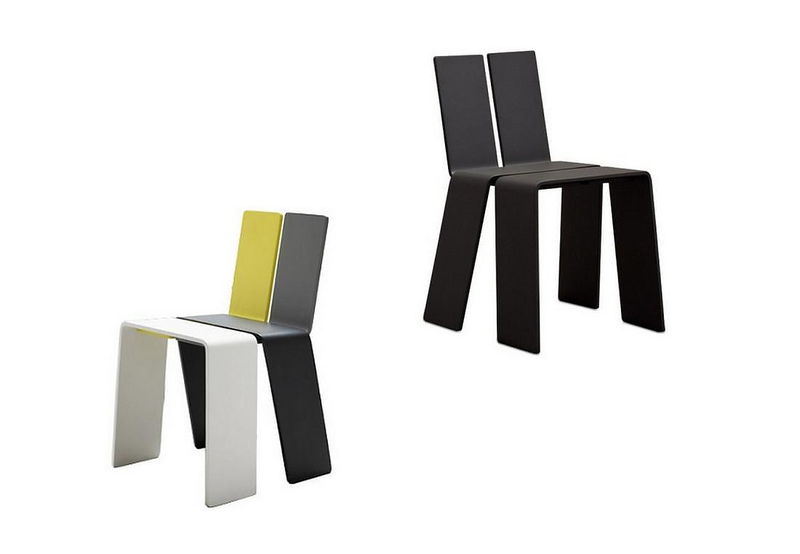 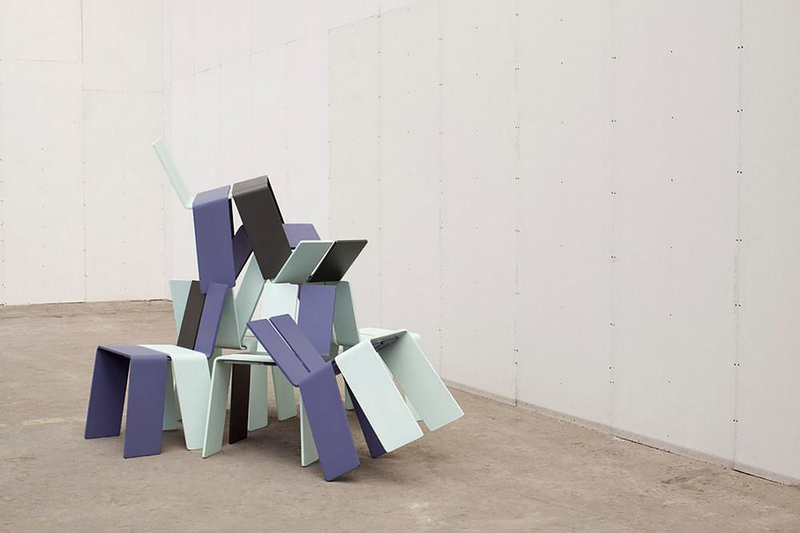 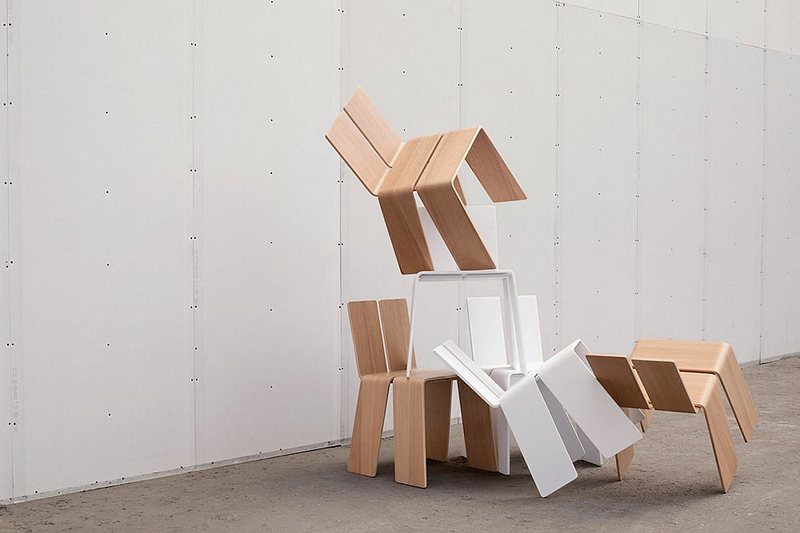 It is composed of 4 small boards folded around each other to form the simplest chair imaginable merging legs and seat, back and structure into the 4 constituent parts. 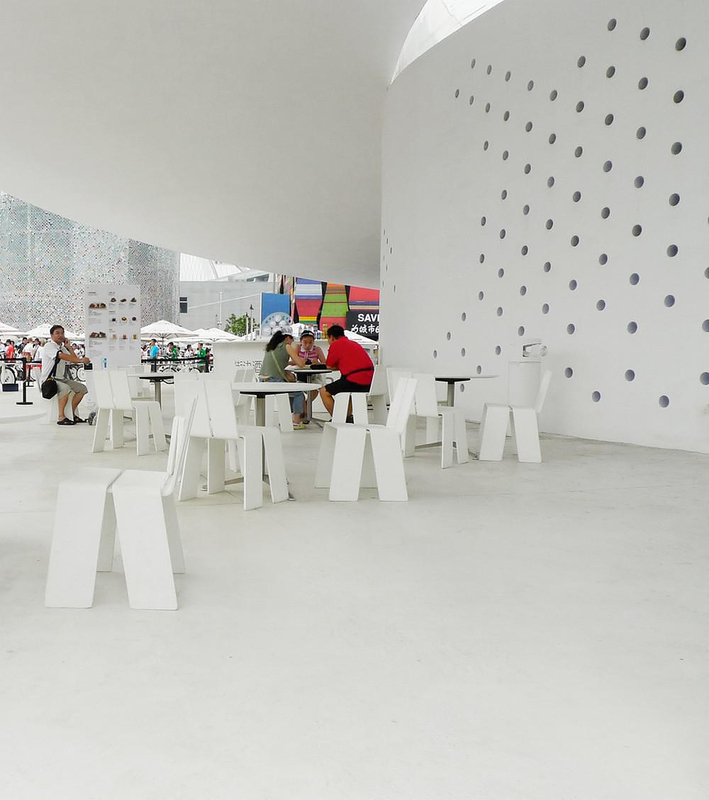 The Shanghay chair was conceived as a single segment of the 264m long social bench that orbits the Danish pavilion both inside and outside that has been designed in collaboration between BIG and Jeppe Hein. 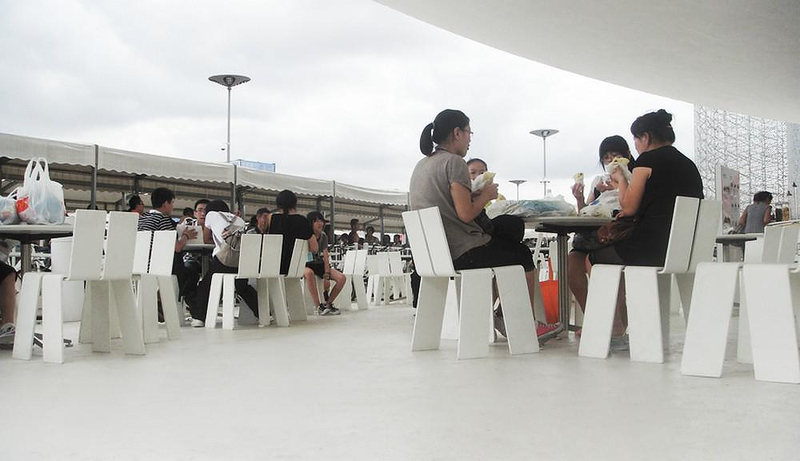 The bench is made from pliable plancs (two for the seat and two for the back) that move seamlessly through the pavilion to form picnic areas, lounges, safety barriers and bars. 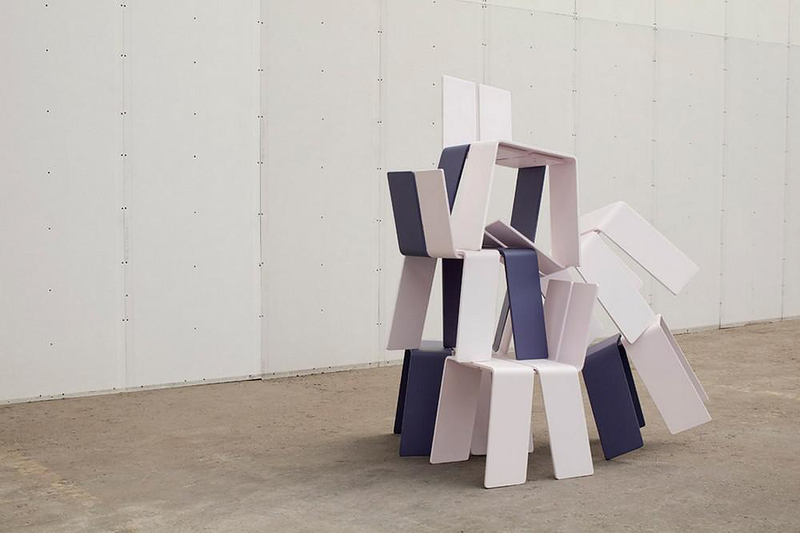 As its ingenious design proved very successful and distinctively iconic, the Shanghay Chair was put into production due to popular demand by distinguished Danish furniture manufacturer HAY. 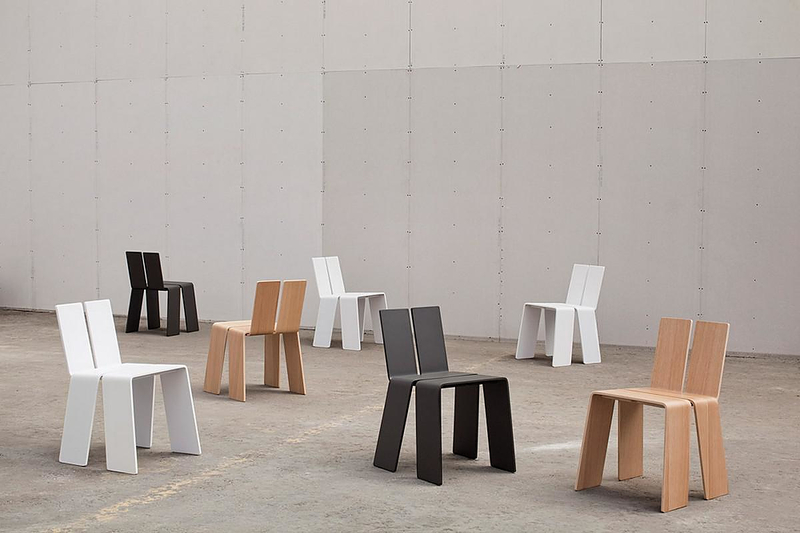 In collaboration with the fashion brand Wood Wood, the chair is now being launched in a limited edition produced by Danish furniture manufacturer HAY. 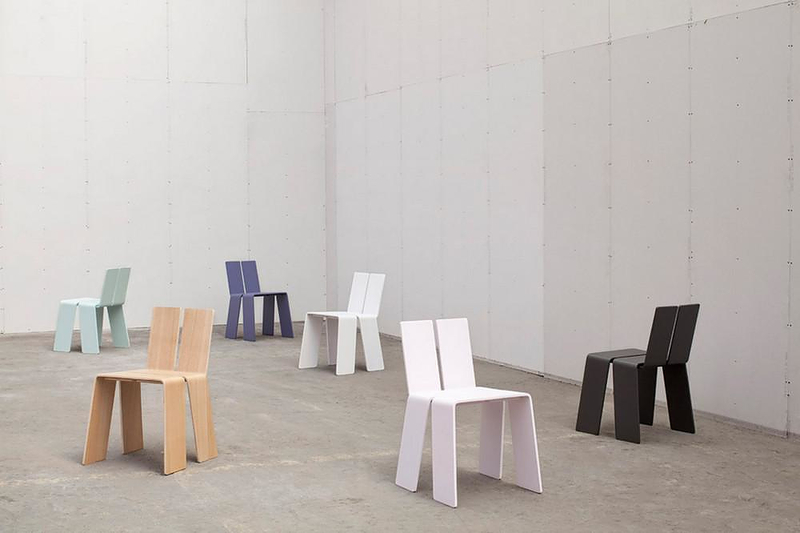 Wood Wood has used their impeccable sense of style to pick out 6 new colors for the chair. 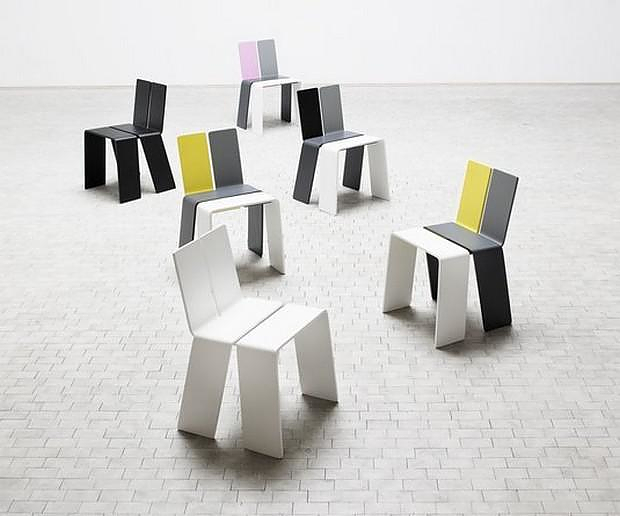 The collection consists of a simple black and white that will work well as base colors, three dusty main colors ranging from a very subtle pink over the twilight blue to a minty green, and a natural oak finish to top it off in true Scandinavian style. 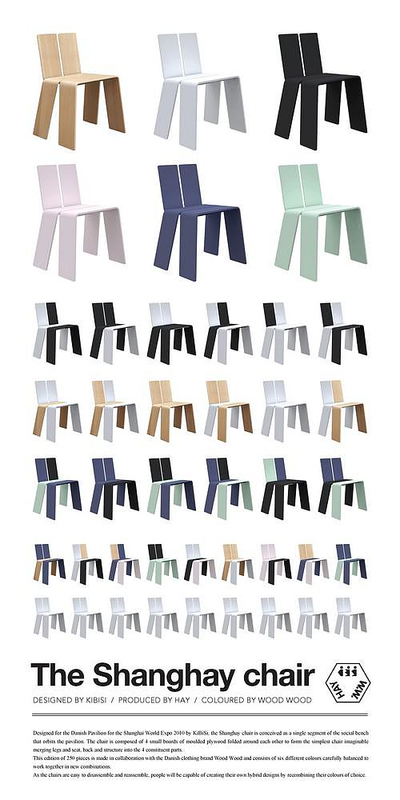 Since the chair can be acquired in multiple colors and is so easy to disassemble and reassemble people will be capable for creating their own hybrid designs by recombining their colors of choice. 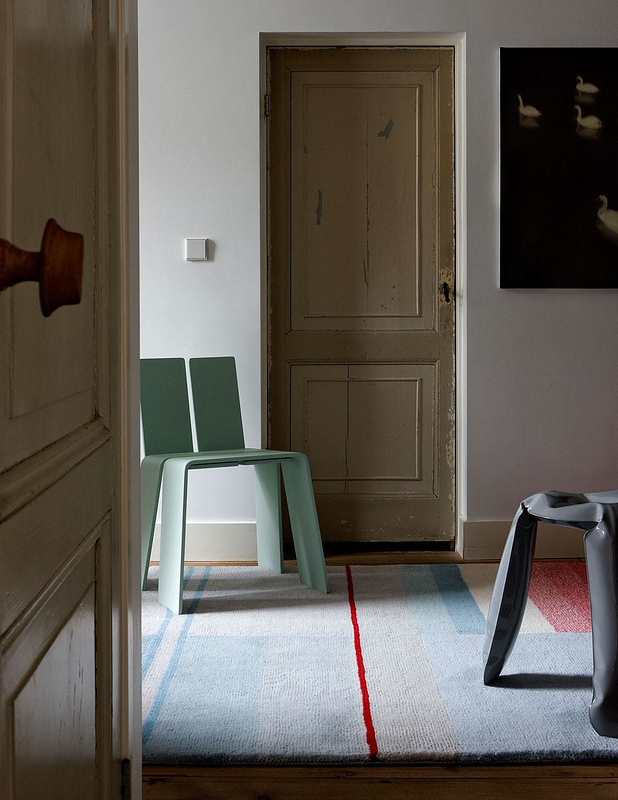 KiBiSi is among Scandinavias most influential design groups today. 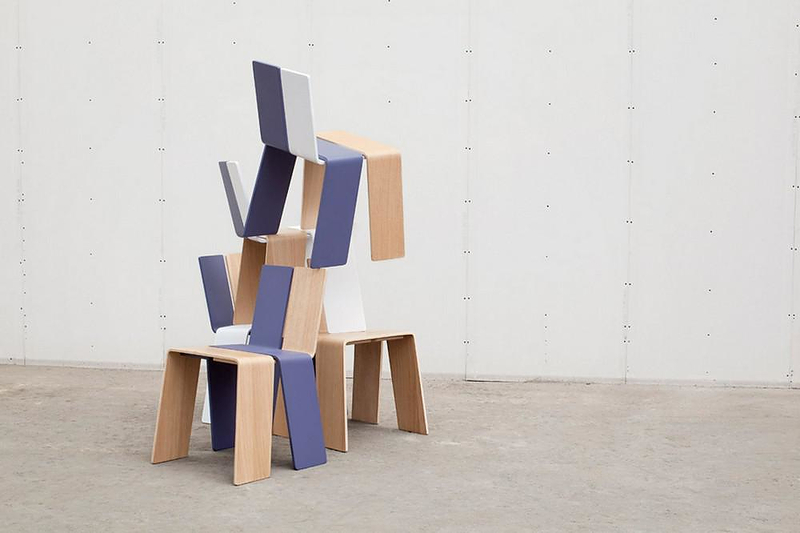 It has worked across a wide range of disciplines, creating everything from furniture and household objects, to bicycles and aircraft, and signature designs for clients across the globe.